Welcome to smoke free Best Western Plus Lubbock Windsor Inn. If you're here for an event at Texas Tech University like graduation, sports or for business our LUBBOCK hotel is just minutes away. From the Red Raiders to some of the best Texas dining in the state, guests at our Lubbock hotel have no end to the entertainment possibilities. Business travelers and medical tourists also favor our property because of the great location, value and service. With Covenant Health Systems and the University Medical Center close by, we regularly welcome patients and visiting physicians and medical staff to the area. Easy access to I-27, Hwy 84, Hwy 62/82 & loop 289 makes our pet-friendly Lubbock hotel especially popular. Call hotel direct to know more about our pet policy. Commutes are easy, it's a breeze to zip around town for sightseeing, and road trippers can quickly get back on track after a luxurious night of sleep in our comfortable, cool rooms. However, you may want to stick around for a while. An indoor pool and spa is the perfect place to relax. We offer free Wi-Fi and a free hot breakfast daily to all guests. To start your morning on the right note, indulge in platefuls of sizzling waffles and flaky pastries, your favorite fruits, cereal, yogurt and chilled juice or 100% Arabica coffee. Sleep in on our Serta pillow-top beds and enjoy the convenience of a microwave and refrigerator in every room. There's even an iPhone docking station so you can enjoy a soundtrack to your vacation. The Windmill Museum, Buddy Holly Center, Cotton farms and local sporting events make for a vacation to remember. Visit the Science Spectrum for a real treat and count on the staff at our Lubbock hotel to provide recommendations on eateries and attractions. Southern hospitality is revered here. Business travelers with OReilly Auto Parts, Sysco, the University Medical Center, Covenant Health Systems and, of course, the University all count on us to be their home away from home. From: The north. Take Interstate 27 to Exit 1B. Follow to the Best Western Plus Lubbock Windsor Inn. From: The south. Take Interstate 27 to Exit 1A, then make a u-turn. 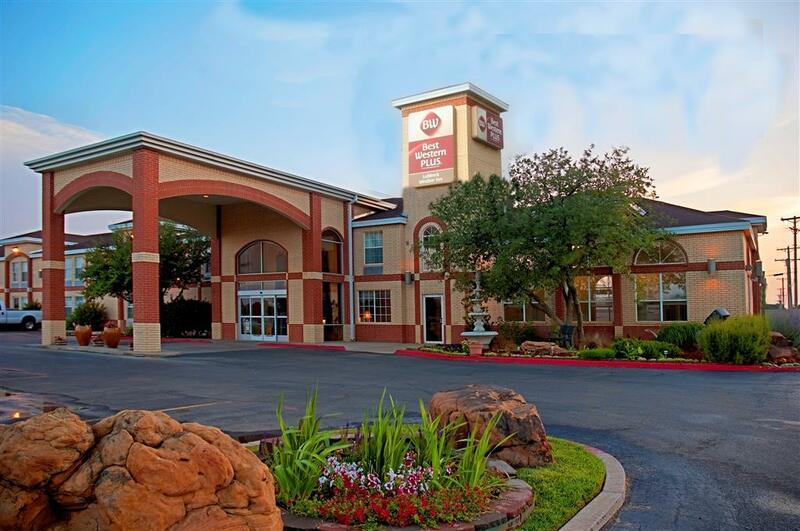 Follow to the Best Western Plus Lubbock Windsor Inn.